Years ago, my cousin and her husband set a family goal to visit every National Park in the country. It was quite a lofty goal and by the time their boys were grown, oh, the memories they had! The National Park Service (NPS) is far and away my favorite part of the federal government. No matter where you go in the USA, there is a National Park of some sort not far away to enjoy. Many parks are tiny or are simply Monuments with no shops or anything attached, like the Vietnam Memorial, but most have at least a small shop where you can pick up essentials, like snacks and water bottles, and a few souvenirs. Surprisingly, you’ll find a number of items that can actually be a great addition to your preps! What is available depends on the park. Battlefields like Gettysburg should have a nice selection on the medicine, cooking, and weapons of their era, but not much in the way of camping or outdoor gear. The reverse will be true at Recreation Areas like Glacier Lake. In addition to NPS locations, historical locations, state parks, and places like arboretums and nature preserves may have similar resources. Most national parks seem to have a nice selection of cookbooks you won’t see other places. Civil War, Revolutionary War, and Colonial-era parks will have cookbooks that focus on native edibles, including animals we don’t normally eat, like squirrels. You’ll also be able to find cookbooks with recipes from those eras. Among the books they carry will be some with other helpful information from the past that we don’t currently use, like how to make lard. Parks focused on outdoor experiences, like Glacier Lake, will have books about backpacking, fishing, and other off-grid skills. 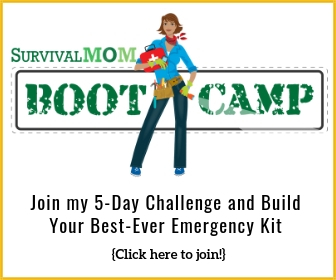 If you want to be prepared to homeschool in the case of a major emergency, grab some educational books and games. These gift shops typically have an abundance of books, workbooks, puzzle books, and the like for kids. NPS stores have books to teach skills related to every other area covered in this article. It really is hard to overstate how helpful NPS sites can be when you are looking for books on these skills from the past. In addition to books on basic and old-school gardening skills, NPS sites often sell both basic and old-school tools. Even if you already have four pairs of basic pruning shears or gardening gloves, the gift shops carry the kind of tools where spares may end up worth their weight in gold in the apocalypse. They may have seeds available as well, and there is a good chance they will be heirloom seeds. Even if NPS doesn’t, any local botanical gardens/arboretums will and it’s a good bet not many people will be stopping there as the zombie menace grows. True, once the apocalypse hits these shops won’t be holding any classes, but that doesn’t mean it’s totally out of the question. More to the point, if you can buy the lesson plan/instructions and equipment for a class from the store, you can learn later. You may also be able to buy kits or books intended to learn skills. I learned to spin wool into yarn in Colonial Williamsburg. Harper’s Ferry NPS gives demonstrations on making apple cider in the fall. A local state park near me teaches people how to spot owls, and Mount Vernon’s gift shop sells all kinds of beekeeping supplies as well as instructional manuals. Even if a class isn’t going on, someone on staff may be able to give you a quick demonstration and get you started learning a skill you will need after it all hits the fan. You may get some great information just by talking to the Rangers for a few minutes. They are trained professionals in a specific field, not tour guides. Our local battlefield has biologists on site, for example, and arboretums will have a botanist on staff. The zombies are on their way though, so you’ll have to make it quick. In order to spin wool into yarn, I needed a drop spindle. If you’re not sure how to do this, this article has basic instructions. A spindle is just one of a multitude of old-fashioned gadgets available at NPS and historic site gift shops. Another popular find is a quill and bottled ink. When you combine these with instructions for making your own quills, you’ll have writing supplies throughout the apocalypse. Other sites have kits to make things out of wood, leather, weaving, and more. 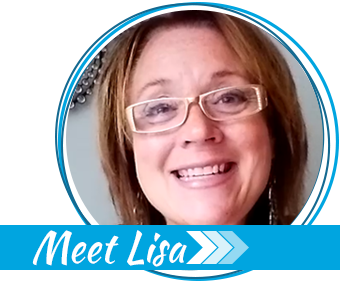 While the basic kits are really, well, basic, the tools and skills can be extrapolated to larger projects, and you have a shot at getting the kids on board with helping and learning something new. Sharing what we learn with our kids and grandkids becomes more important every day. Each store has some unique local items and most have glass art. One store I visited has glass oil lamps. Another has pottery pitchers. Others have Indian leathercraft or local stone. Whatever the local items are, check them out because they just might be as useful as oil lamps or spinning wool. National Battlefields often have books and replica tools related to medicine. In addition to books on the battlefield medicine of the era, they should also have information on herbal medicine and cures. They also have a selection of books on medicine from the era. This is meant for general information purposes, but it wouldn’t hurt to have some of these books of historical first aid and medical treatment. If you no longer have access to modern medicine and doctors, these books could be a lifesaver, but keep in mind the advances in medical knowledge before using any of these remedies or treatments. More men were lost to infections back then than from actual battlefield injuries. While these books almost certainly won’t mention much (or anything) about sterilization or germ theory, we know how important they are. Don’t neglect cleaning and sterilization just because they aren’t mentioned! Don’t rush past the games in your hurry to pick up supplies to survive the apocalypse. This is an area where NPS stores truly shine. While they do have some modern toys like block-based building sets and dolls, they have great classics like jacks, dominos, pick-up-sticks, quoits, Yahtzee, Monopoly, and more. They have all kinds of plush, old-school toys, and entertainment, as well as books, movies, puzzles, and modern toys, plus educational games to help kids learn about science, nature, history, and more. This deck of insect information cards is an example of what you’ll find. Fill a basket with card and dice games to keep boredom even farther from your family than the zombies. 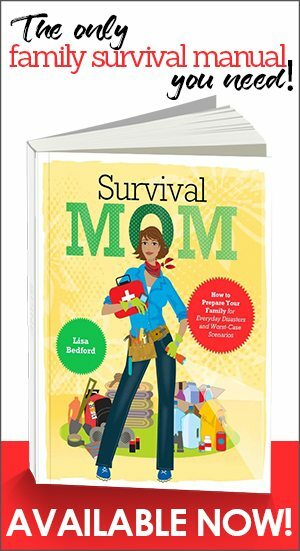 If you end up homeschooling or being the schoolmarm in a post-apocalypse world, all these things will be invaluable. Having a stash of small gifts will be a touch of normalcy in a world gone crazy. NPS stores also carry simple musical instruments such as kazoos, mouth organs, harmonicas, and bugles. You may want to skip these if you are concerned about sounds carrying but they do provide good entertainment, once someone knows how to play them properly. At the same time, you can teach kids how to read music notes and bring a little culture to this post-apocalyptic world. You won’t find real weapons here but you can find books about weapons and techniques and some basic items to go with truly old-school weapons, such as powder horns for black powder guns. Knives and walking sticks can be used to fend off the walking dead. Some replica items, such as swords and axes, might also come in useful, especially if you have a way to sharpen them. National Recreation Areas are popular for hiking and camping for good reason, and the NPS knows it. They stock the stores at these locations with basic gear that people are likely to forget. This isn’t REI so you won’t be buying a new tent, but you can definitely find warm jackets, insulated mugs, flashlights, small blankets, whistles, and other small camping and outdoor emergency gear. Electric hand warmers like these would be a good find. They stay warm even in the coldest temperatures and can be recharged using a solar charger like this one. After you grab a selection of books and easy-to-carry laminated guides on local flora and fauna, look for pet supplies. Outdoor-oriented stores may carry leashes, collapsible pet bowls, pet treats, and possibly even little jackets or carriers. NPS know that many of their customers are dog-lovers. Telescopes, compasses, sextants — NPS stores carry new and reproduction versions of these as well as new and reproduction maps. Many NPS stores also carry wind-up pocket watches. Long after all the watch batteries die, wind-up watches will still be going strong and not many places carry them anymore. The “Local” section in the bookstore has local maps and books about the local area. This is a great place to learn about local museums, historical locations, and other little-known spots that could be helpful after it all hits the fan, as are the brochures you can find in the Visitor’s Center. You may even get lucky and find a topographical map if you don’t already have one. Knowledge of the elevations surrounding you could be a big advantage as you face a world filled with zombies. 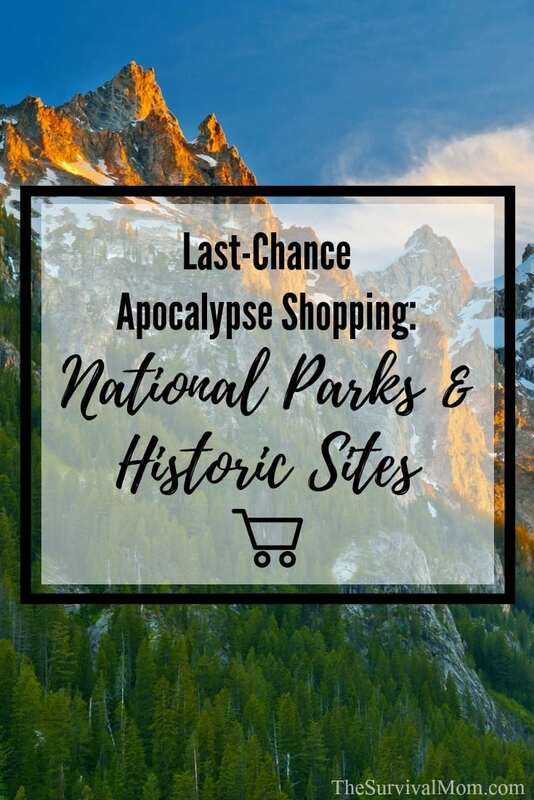 If you are running low on sunscreen, bug spray, sunglasses, water bottles, umbrellas, or other hiking basics, NPS stores will have you covered. Depending on the store, they may have a nice selection of snacks and drinks to go along with the basic bottled water, energy bars, and sports drinks. Some have homemade local products such as soaps or fudge. They all have baseball caps, “Junior Ranger” vests, and t-shirts/sweatshirts/fleece jackets. The Junior Ranger jackets are child-sized vests with pockets all over them that could be great for the kids to carry their own survival gear. Some stores may have period clothing including bonnets, shawls, moccasins, and uniform pieces. 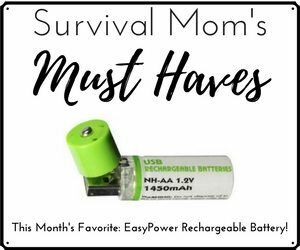 As you check out, don’t forget to snag a bunch of batteries. 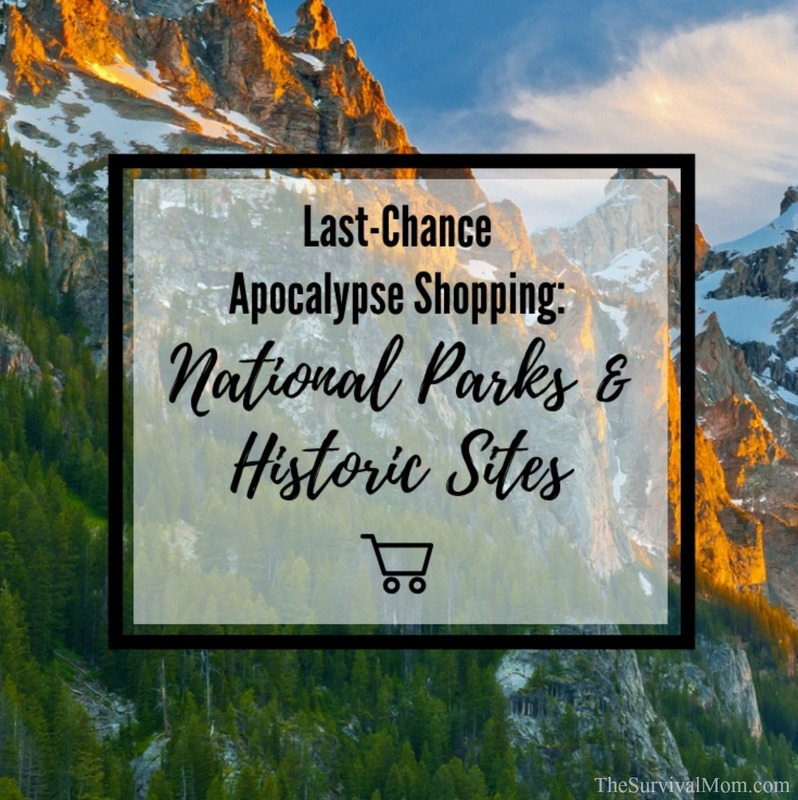 All in all, National Park Service stores aren’t a bad place to stop and grab some things for the apocalypse. Whoa! Much to think about. Love the series. You should do Menards/Lowe’s next.